Is a Doctor's Purpose Just to Avoid Malpractice Lawsuits? 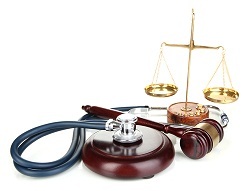 Physician Risk Management: Is a Doctor’s Purpose Just to Avoid Malpractice Lawsuits? Every now and again I read a publication called “Physician Risk Management.” Billed as a publication to help doctors minimize liability and protect them from lawsuits, it is a well-written publication written by people who actually do seem to know what they are talking about. This is all fine and good. Doctors sometimes should deviate from clinical guidelines and they should explain why they did not conform to them. And, yes, plaintiffs’ medical malpractice attorneys are going to shove it down their throat if they do not document their deviation and the basis for it. Fair enough. But could they at least mention in a footnote that what they are faking the doctor to do is also 100% consistent with what you are supposed to do to, you know, properly care for a patient? Isn’t one of the key purposes of medical records in the first place to determine upon the appropriate course of care and provide a rationale for that care to both document the treatment and explain the care to future doctors treating the patient? No kidding, really. In fact, as I started reading the article, I thought maybe the doctor was being quoted out of context talking about good patient care. But then the doctor goes on to describe a Mississippi case from 2006, Vede v. Delta Regional Medical Center 933 So.2d 310 (Miss. Ct. App. 2006), that ostensibly proves this point. This was a case where the plaintiff developed a decubitus ulcer – a bed sore – allegedly as the result of hospital’s negligent failure to turn the plaintiff at regular intervals, which the standard of care requires to prevent a bedsore. But the doctors at the hospital had a good reason for failing to turn the patient: they found that he was struggling with airway clearance and were afraid of a fluid volume deficit and an infection from the turning based on the patient’s specific case. This is such a straw man. We all agree these could all be good reasons in a particular case to turn the patient less frequently (although, geez, I wonder about informed consent on a call like that). We can all also agree that writing it down makes it seem less like you are making excuses in hindsight for negligent care if you spell out what you are doing in the first place. But couldn’t the article – albeit short – point out that this weapon to fight off medical malpractice lawsuits is not the endgame, but just a happy byproduct of properly caring for and treating patients. This reminds me of doctors who passionately argue that defensive medicine is destroying our health care system because they are required to order tests that are not indicated for the patients. Here’s one example of this. Is the doctor readily admitting that he is ordering tests that can harm and cause risk to a patient – as CT scans and x-rays certainly do – for his own protection to avoid a malpractice lawsuit for which he has insurance anyway. The lack of self-consciousness in that statement is as depressing as is the idea that the purpose of keeping good medical records is to avoid medical malpractice. I would think that Physician Risk Management’s job would be to point out those steps doctors should take to avoid malpractice cases that don’t fall under the “just be a good doctor” umbrella.